Timmy-Tim-Tim Tebow isn’t the only “football” player whose faith has recently been stretched across headlines — that distinction is shared by Fabrice Muamba. The Bolton midfielder faced an uphill battle getting onto the most prominent stage in professional football, emigrating with his family from his native Zaire at the age of 11. Muamba’s father, experiencing pressure due to his political beliefs, sought asylum in England and started a new life with his family. Young Fabrice was unable to speak a word of English, but that didn’t stop him from achieving 10 GCSEs and A-levels in English, French, and Mathematics (interpretation: Muamba is smart). But Muamba was noticed as much for his athletic prowess as he was his academics — at 14-years-old, Muamba entered Arsenal F.C.’s youth academy, and signed his first professional contract a year later. After a spell with the North London club, Arsenal sent Muamba off on a year-long loan to Birmingham City, where he played until 2008, when he was transferred to Bolton Wanderers F.C. 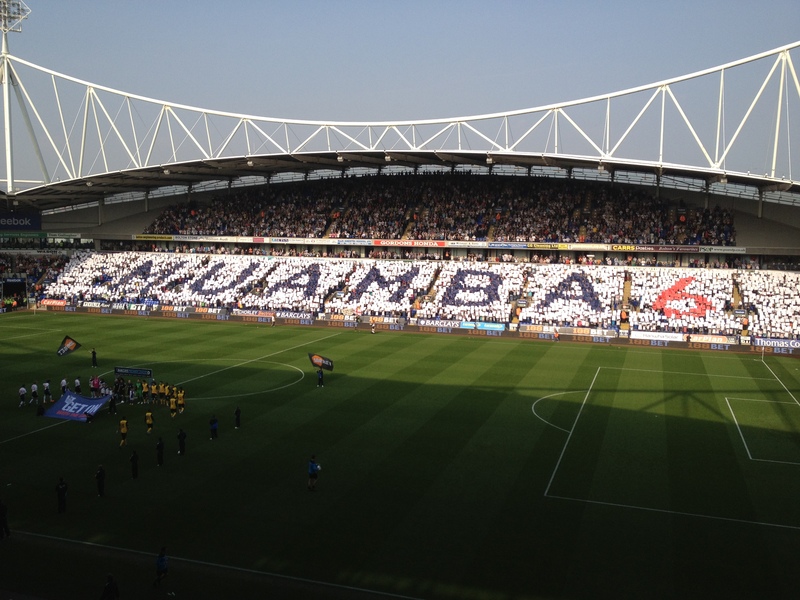 Finding consistent success on the pitch, Muamba became one of Bolton’s most important players. Then, on March 17, 2012, Fabrice Muamba died. During a quarter-final FA Cup match with Tottenham Hotspur, Muamba became dizzy and began seeing double before collapsing to the pitch. Football is sadly as known for its “dives” and feigned injuries as it is for its creativity and the unwavering support of its fans — but this was different. No one was near Muamba at the time of his fall, and the entire crowd knew something was different about it. Football crowds are known to be aggressive and creative with their taunts, but in this case, Tottenham’s 36,000 fans stood in near-silence for what seemed to be an eternity, occasionally chanting his name. Fans wearing Tottenham kits were shown on television crying or clasping their hands together in prayer. 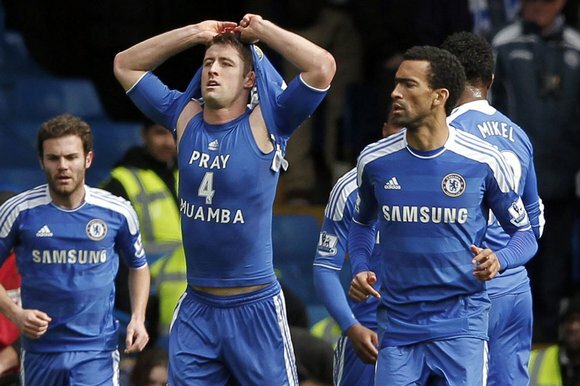 Muamba’s teammates and opponents were praying as well, particularly striking in modern Europe, which appears to be almost completely secularized. Muamba’s heart did not beat for 78 minutes. Many prominent footballers have died suddenly while on the pitch. In 2007, Antonio Puerta suffered a cardiac arrest and died at the age of 22-years-old. Just last week, 25-year-old Piermario Morosini collapsed and passed away. These situations usually result in tragedy — Muamba’s appeared just as dire. Doctors would later confirm that Muamba received numerous defibrillator shocks both on the pitch and in the hospital, but they were unable to resuscitate him until 78 minutes after his collapse. Two days later, his heart was beating without the assistance of medication and he was able to move his limbs. Soon after, he responded verbally to family members. 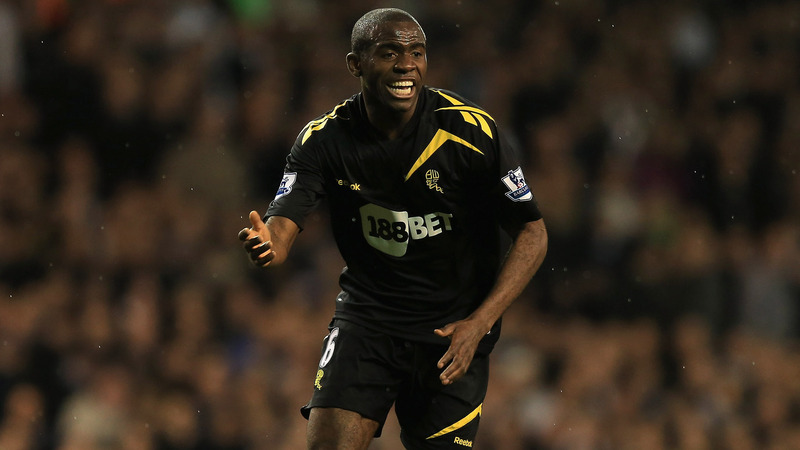 On April 16, nearly a full month later, Muamba was discharged from the hospital. In an interview with The Sun, Muamba revealed he asked God to protect him before the cup clash, which was abandoned after his collapse. “Some one up there was watching over me. What happened to me was really more than a miracle,” he said. “On the morning of the game I prayed with my father and asked God to protect me – and he didn’t let me down. Muamba praised Andrew Deaner, the cardiologist who left his seat at the match to help medics treat the player. “He is the reason I have been able to hold my baby son again and continue my life,” said Muamba, who is recovering at home with his 3-year-old son Joshua and fiancee after being discharged from the hospital Monday — just over a month after he suffered the cardiac arrest March 17. The full video of the incident, along with the fans’ response, is difficult to track down in its entirety, but it was a moment when the curtain of sporting intensity was pulled back, revealing the humanity of even the most vicious fans. For a moment, everything was put back into perspective, and I for one am incredibly proud of the response from Tottenham’s supporters. That said, I shall now resume despising them.